It’s late in the evening: time to close the book and turn off the computer. You’re done for the day. What you may not realize, however, is that the learning process actually continues—in your dreams. It might sound like science fiction, but researchers are increasingly focusing on the relationship between the knowledge and skills our brains absorb during the day and the fragmented, often bizarre imaginings they generate at night. Scientists have found that dreaming about a task we’ve learned is associated with improved performance in that activity (suggesting that there’s some truth to the popular notion that we’re “getting” a foreign language once we begin dreaming in it). 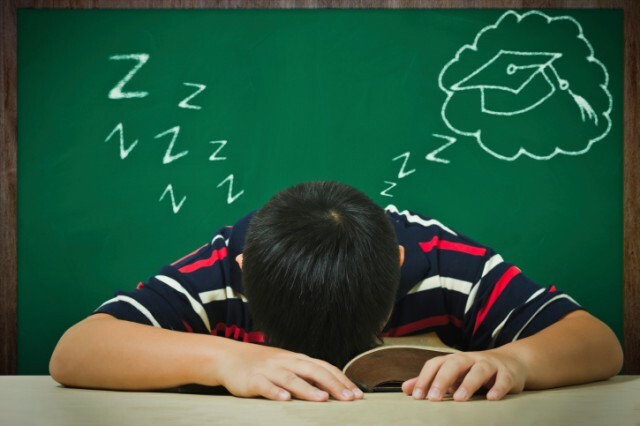 What’s more, researchers are coming to recognize that dreaming is an essential part of understanding, organizing and retaining what we learn—and that dreams may even hold out the possibility of directing our learning as we doze. Of course, most of us are not quite so energetic during sleep—but our brains are busy nonetheless. While our bodies are at rest, scientists theorize, our brains are extracting what’s important from the information and events we’ve recently encountered, then integrating that data into the vast store of what we already know—perhaps explaining why dreams are such an odd mixture of fresh experiences and old memories. A dream about something we’ve just learned seems to be a sign that the new knowledge has been processed effectively. In a 2010 study published in the journal Current Biology, researchers at Harvard Medical School reported that college students who dreamed about a computer maze task they had learned showed a 10-fold improvement in their ability to navigate the maze compared to participants who did not dream about the task. Robert Stickgold, one of the Harvard researchers, suggests that studying right before bedtime or taking a nap following a study session in the afternoon might increase the odds of dreaming about the material. But some scientists are pushing the notion of enhancing learning through dreaming even further, asking sleepers to mentally practice skills while they slumber. In a pilot study published in The Sport Psychologist journal in 2010, University of Bern psychologist Daniel Erlacher instructed participants to dream about tossing coins into a cup. Those who successfully dreamed about the task showed significant improvement in their real-life coin-tossing abilities. Experiments like Erlacher’s raise the possibility that we could train ourselves to cultivate skills while we slumber. Think about that as your head hits the pillow tonight.